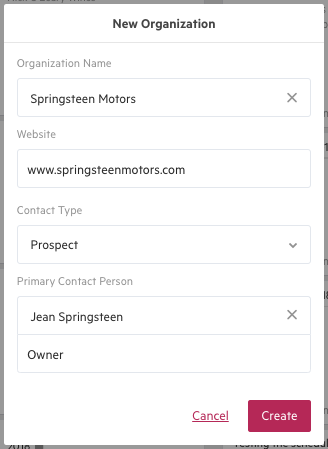 Adding people and organizations as contacts in Karbon is simple. You can do it from anywhere in the app. The easiest way to add a new contact is from the global add icon, located in the top-right of your app. You will then be prompted to add either a person, organization, or client group. When you enter the full name of your new contact, Karbon will search for similar people in your account, to help you avoid creating duplicates. If no relevant names appear, select Create new person. 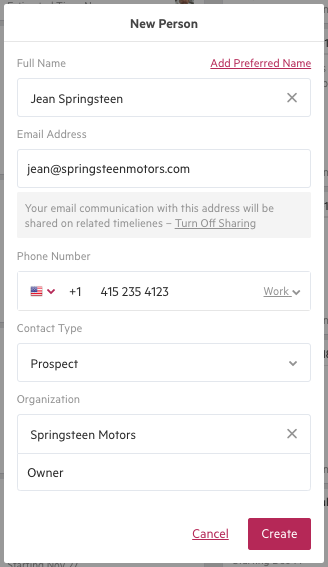 You will then be able to add the person's email and contact type and determine if you would like to make your communication with this contact public to everyone in your company or Turn Off Sharing. 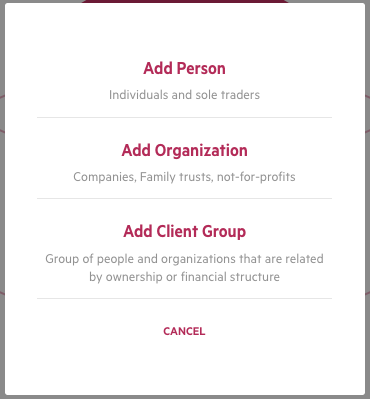 Lastly, you can also choose to add a new or existing organization for the individual—linking them this other contact in the process. If you choose to create an organization contact, you will be asked to enter its name, website and Contact type. 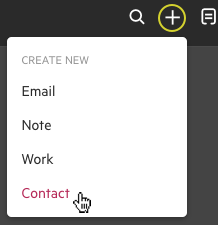 You can also choose to add a primary contact person, which can be a new or existing person contact. 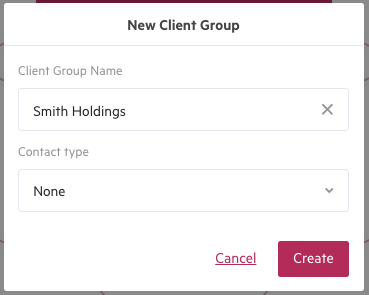 Choose a name for you client group, and a contact type if you'd like. On the Contacts page, you have an option to Import from Gmail/Office 365 (depending on your email client). This option will show you a list of email addresses you have sent emails to, or received emails from, in Karbon. You can then choose which email addresses you would like to add as a contact. If you have a large amount of contact data you would like added to your Karbon account, we can help. Click to learn more here.